From a tender age, Scott Townsend’s life is ruled by his slippery gender. Growing up a girly-boy in the projects of Cambridge, MA, under the care of Doris, his dysfunctional single mom, Scott is prey to bullying and assault. Already a talented singer and performer, Scott grows up to be revered drag queen Thirsty Burlington and delights club-goers in Provincetown, MA with his spot-on impersonation of Cher. But even in this gay mecca, being Thirsty comes at a price. 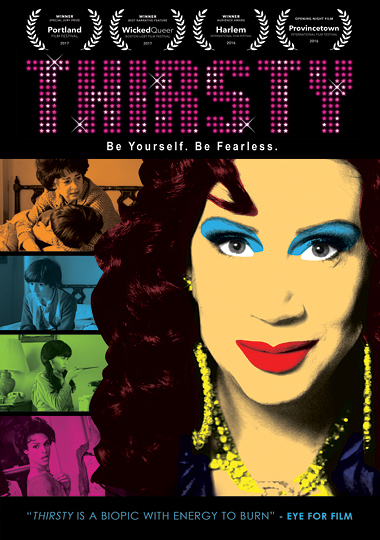 Inspired by events in Scott/Thirsty’s life, Thirsty is a true-life musical adventure as dramatic as it is entertaining.